State police have been using rubber bullets, attack dogs, and tear gas on the protestors while North Dakota’s state attorneys have been working to intimidate journalists for covering and filming the protests. In one notable example, a filmmaker now faces up to 45 years in prison for only filming the protestors. Now, it appears that the native wildlife are also targets. Yesterday, Indigenous Rising Media released a video showing a large group of wild buffaloes being herded into an enclosure surrounded by 8 foot deep trenches and razor wire. 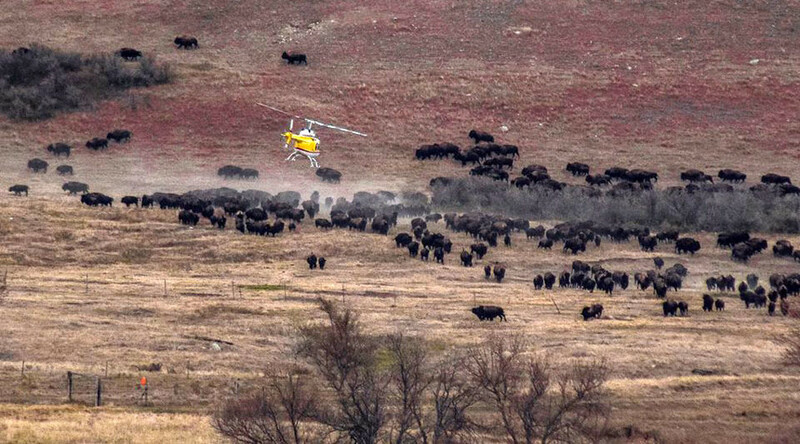 Current reports from the area claim that the buffaloes are being held without food or water for days. It has also been reported that the construction company building the pipeline has threatened to kill the buffaloes as they could “interfere” with the pipeline’s completion.